Cocktail attire for men may seem straightforward at first, but you’d be surprised at how often guys show up to the function not dressed the part. Sure, it doesn’t require a tuxedo, but you’re not dressing for a casual night out with the lads. For many, it’s easy to think of the cocktail attire dress code as overlapping with business wear, but with a touch more expression than the office may allow. We’ve outlined some visual inspiration and a list of general do’s and don’ts to keep you looking and feeling sharp at your next cocktail shindig. Though the cocktail dress code doesn’t necessarily warrant breakin’ out your tuxedo, you shouldn’t skip the blazer, sports, or suit jacket. 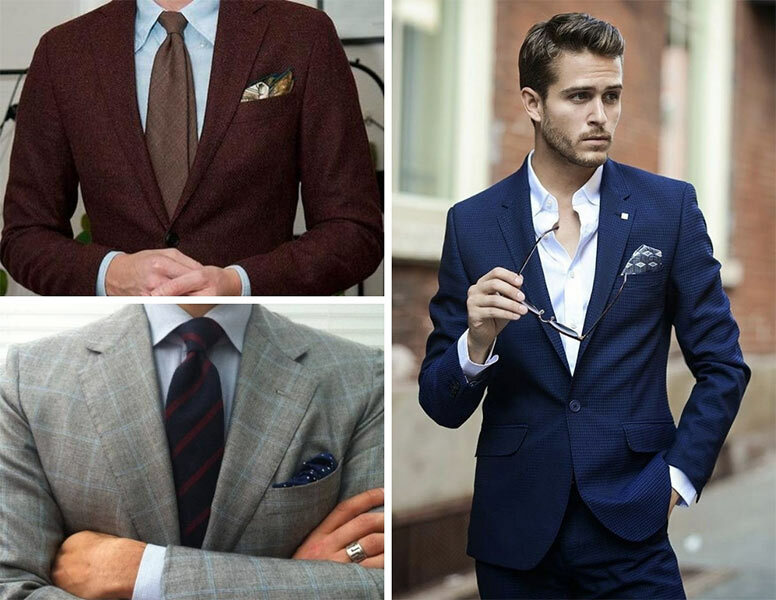 Your suit jacket is always paired with matching pants, while blazers and sports jackets are standalone apparel. A jacket typically serves as the statement piece of your outfit. Men’s cocktail dress code has a much higher tolerance for more “fun” colors, but dark colors are the norm for these kinds of outings. Do wear a jacket and make sure it fits. Despite some room for expression, cocktail parties are formal affairs. While the degree of formality may vary depending on the occasion, a blazer or suit paired with a crisp button-down is usually expected. The key to nailing the jacket, however, is the fit. It doesn’t have to be custom, but it shouldn’t look like you just walked off the set of Bugsy Malone either. Treat yourself and your favorite suit jacket or blazer to a trip to the tailor. You won’t regret it. Do have a night jacket and a day jacket. The time of your soiree should dictate your jacket color. Dark for the night, light for the day, then build from there. Embrace a more playful style during the afternoons, while sticking to something sharper and classic for the evenings. Don’t wear it unless it’s been dry cleaned. Cocktail events require planning, so they rarely pop up out of thin air. As a good rule of thumb: after you’ve worn a formal garment, take it to the cleaners. If it’s been a while since your last night out and your go-to jacket’s made a home in the back of your closet, drop it at the cleaners three days prior to the event. A sports coat that smells even just a little musty will shatter your style. Before you consider it: no, a cologne shower doesn’t suddenly cancel out a bad smell. Do play with patterns and textures. A jacket doesn’t have to be boring. Get creative with patterns and fabrics depending on the season. Try a wool jacket in subtle plaid or a linen jacket in tan for extra personality. Just don’t get too carried away with how busy your overall outfit will look, especially if you plan on sporting a few accessories. 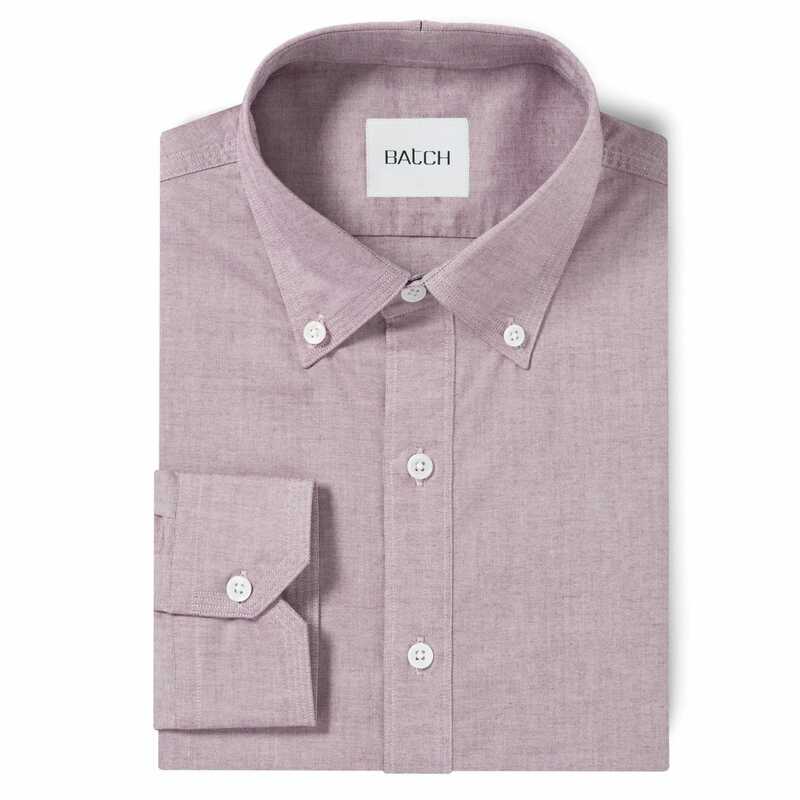 Whether you’re dressing for cocktail hour or business casual, your shirt is typically the first garment you’ll pick when building an outfit. 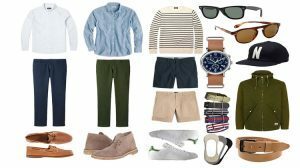 Business casual has us thinking that only neutral colors and hues are acceptable, but that doesn’t mean colors are off the table. 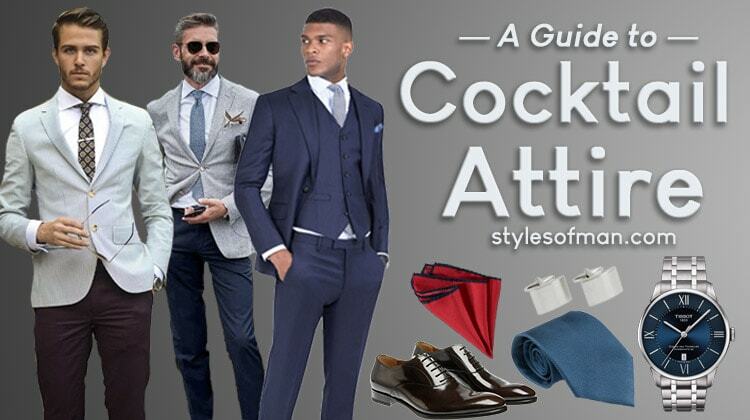 Powder blues, burgundy, and purple are nothing out of the ordinary for cocktail attire. Even if you don’t plan on wearing your jacket the entire time, base your shirt on the blazer or suit jacket you plan to wear. Most formal color rules have extra leeway but avoid mixing too much blue and black as the lack of contrast usually results in an incohesive look. Do wear a button down. Your choice in button down says a lot about you, so be sure it’s reflective of your personal style. Just make sure it’s tucked in, not missing any buttons, and the sleeves reach your wrists. Feel free to unbutton the collar once or twice if you don’t plan on wearing a tie. If you own a shirt with french cuffs, adding some cufflinks are a great way to add some tasteful flair to your cocktail outfit. 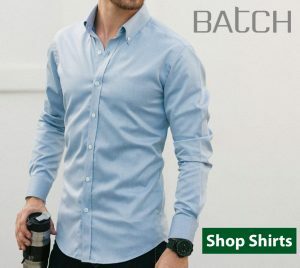 For shirts, we love the offerings from Batch. Though they don’t come cheap, Batch shirts have a stellar build quality and attention to detail. Do invest in an iron or a steamer. You wouldn’t show up to a party with disheveled hair and the same certainly goes for your clothing. Not only do properly fitted and cared for clothing show that you’re hygienic, but it’s a nod to the party host that you care about the event and want to look your best. Take a little time and steam out your clothes before. Even if everything else you wear is wrong, you’ll still look more put together than you would in a wrinkled suit. Many men aren’t fans of ironing (us included), but we’ve found that small, handheld steamers like this one work wonders on almost every type of clothing. You’ll save hours compared to a traditional iron. Don’t wear anything with holes, stains, or a rumpled collar. This really shouldn’t even need to be said, yet plenty of guys still cling to their favorite, worn shirt from college. Even if it’s a little hole or a smidge of a smudge—mend it or wash it, just don’t wear it to the event. On the same note, be extra careful with any drinks or food that could stain your attire! Cocktail attire for men isn’t limited to matching jackets and pants. Unless you’ve opted for a suit jacket, matching your pants and jacket is optional for a cocktail party. In terms of fabrics, stick with cotton, wool, moleskin, or linen (weather permitting). The color of your pants should compliment your jacket and not vice-versa. Stick with darker grays, navy, and black for a safer look that won’t disappoint! Don’t wear jeans. Your favorite pair of jeans won’t do you any favors at this kind of event – yes, even if they have sick denim fades. Denim is never, ever, under any circumstances appropriate for a cocktail party. A pair of tried and true black, blue, or grey slacks will serve you just fine, so invest in two pairs you love; one pair in a heavier fabric for winter and one in something lighter in both weight and color for warmer days. They can match your sports jacket or blazer for a uniformed look or compliment it for a more modern vibe. Do hem your pants. The bottom of your pants should break differently depending on your height and desired look. A short break makes shorter men appear taller whereas a full break can help tall men look more proportional. Just keep in mind you should never have pools of fabric at your ankles as this looks sloppy and unkempt. Too short and you may look like you’ve outgrown your pants. 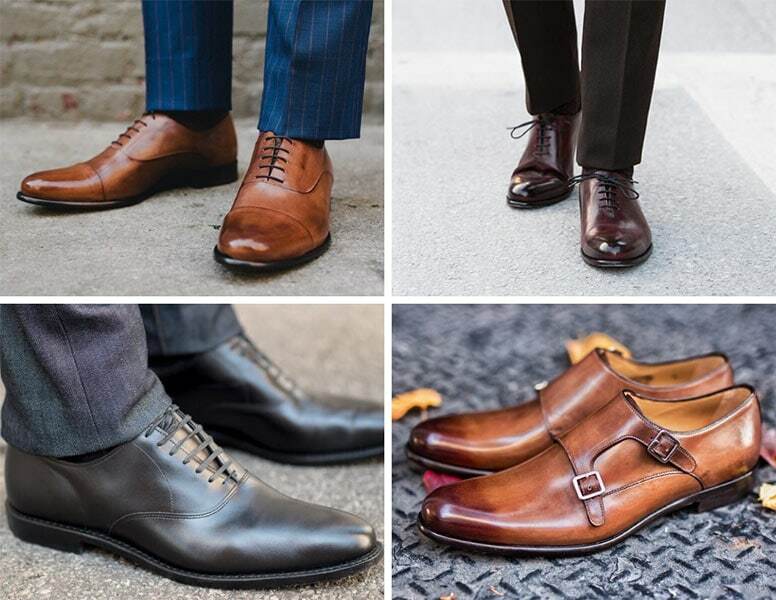 Your shoes will likely be the same as your business casual/professional footwear. 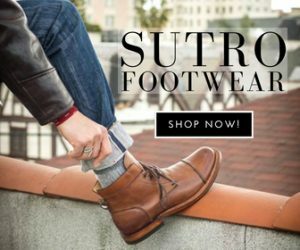 Oxfords, loafers, monkstraps, and wholecut shoes are all at the core of men’s cocktail attire shoes. Shoot for a darker color like brown or oxblood, but do note that black oxfords are typically the standard. Do wear loafers or oxfords and make sure they’re polished. Proper cocktail shoe etiquette has softened over the years. 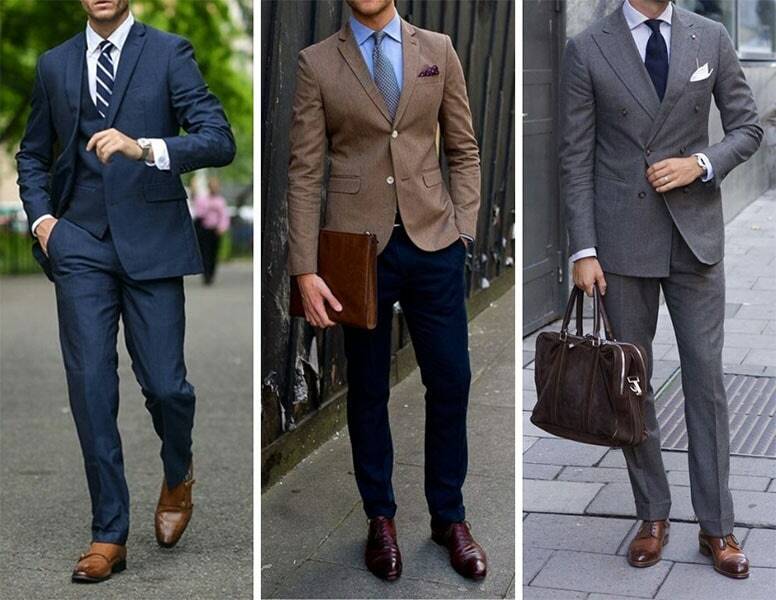 If fancy footwear isn’t your thing, go for a classic looking loafer or lace-up oxford in brown or black leather. The beauty of these two standards is in the details. You can go for more intricate stitching, a decorative tassel, or a wing-tip brogue. The details will elevate your look without going over the top. A burnished finish is sure to draw some glances as well, but don’t forget to give them a gentle polish before you show up fashionably late. Do try a fashion sneaker. Back to the notion that cocktail parties let you branch out from typical fashion norms, there’s certainly room for expression when it comes to your footwear. However, do check with the host to make sure a minimalist sneaker is acceptable. More conservative iterations of men’s cocktail attire don’t deviate much from classic dress shoes. If brogues and loafers aren’t your style, you can pull off a slightly more casual look with some fashion sneakers. Leather will be your go-to here, so luxury sneakers like Common Projects or other low profile shoes are a good choice. Weather permitting, you could also wear some cropped trousers, showing some ankle and highlighting your shoes. Now to the fun part: men’s cocktail party accessories! 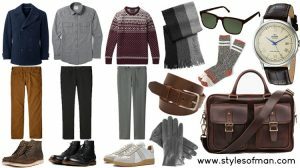 This category of apparel is really where one is able to differentiate his look from typical formal attire. 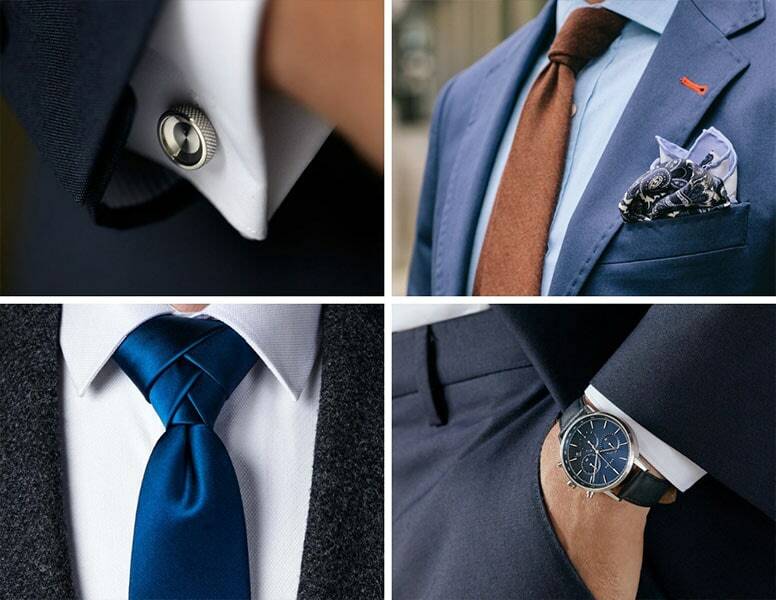 Tasteful ties, pocket squares, and cufflinks are not only optional, they’re encouraged. Daytime parties lend more room for colorful accessories while more subdued colors and tones shine in evening events. Just be sure not to go overboard with colors and accessories. You won’t want your outfit to be the center of attention as it can be disrespectful to the cocktail party host(s). Do wear a belt and match it to your shoes and watch. We’ve all heard this golden rule of men’s fashion, yet we all still see this mistake all too often. It doesn’t matter if your pants fit perfectly, match your belt to your shoes in any sort of formal event. For a cocktail party, this level of attention to detail is expected and respected. Do remember your socks are also accessories. Socks are often the unsung hero of a great outfit. The men’s cocktail attire dress code has room for socks with personality, so don’t automatically shy away from color. It’s a charming surprise for anyone who catches a glimpse and is an easy way to flair to a formal, structured look. Don’t wear ankle socks, white socks, or athletic socks. The general rule-of-thumb for formal attire is to match your socks to your trousers. When your trousers ride up from sitting, no one should be able to see your leg and white athletic socks can take an outfit from sharp to unpolished. Do wear a watch. It doesn’t have to be a Rolex, but a watch is a good finishing touch for any outfit. A more formal watch can add a touch of class to your look and can be easily admired while you sip on your rye Manhattan. If you’re opting for a leather band, try to match it to your belt and shoes. Looking for a budget timepiece? 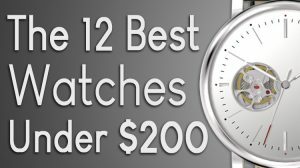 Check out our 12 best men’s watches under $200. Do or don’t wear a tie. Cocktail attire for men isn’t as formal as it used to be, but it’s not casual either. 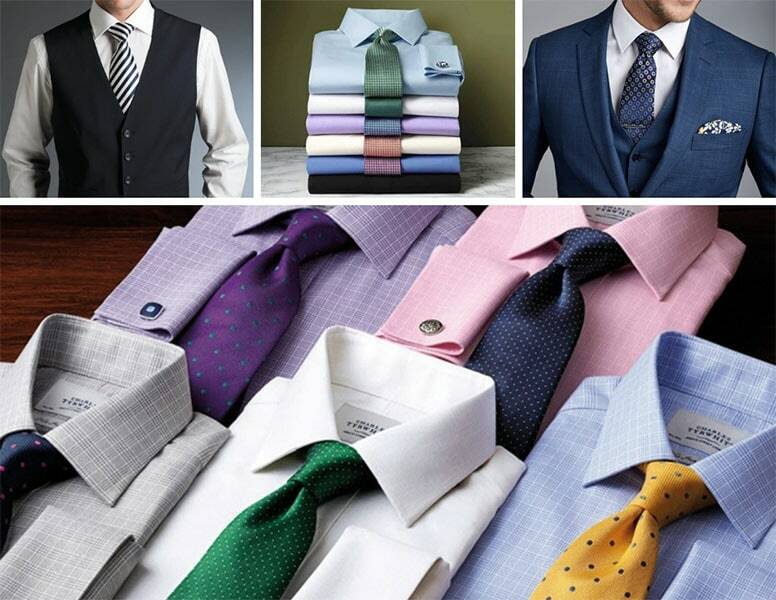 When it comes to deciding on a tie, it’s dealer’s choice. Some men prefer to add a spark of color to their outfit and show of their personality with a tie, while others feel over the top and overdressed in one. At a black-tie event, a tie is required. For ties, the hard-and-fast rule is to make sure your tie is never darker than the color of your shirt. It’ll disrupt the visual weight of your center mass and throw off your entire outfit. Wear a red shirt with a white tie and you risk looking like you’re headed for an 8th grade formal. Good luck out there, gentlemen!